StorageMax offers a variety of unit sizes to suit your every need. 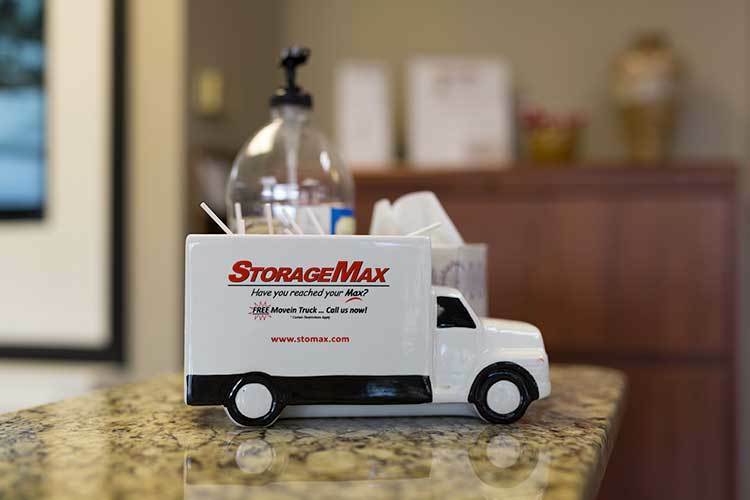 Whether you are looking to store items from your home or business, we have you covered. Our storage facilities have several features that will ensure your moving and storage experience is as smooth as possible. We also offer boxes and packing supplies to help make your move easier. StorageMax is proud to provide our customers with the convenient service of kiosk rental. When you need to rent a self storage unit but your busy schedule prevents you from doing so during office hours, use this advanced amenity to lease a storage space 24 hours a day, seven days a week. Not only can you rent a storage unit at any time and quickly move in, but you can also manage your account and pay your monthly rent – the kiosk accepts all major credit cards. Additionally, if you aren’t sure which storage unit size you need, the kiosk is connected to support personnel which can assist you with all of your needs 24 hours a day.